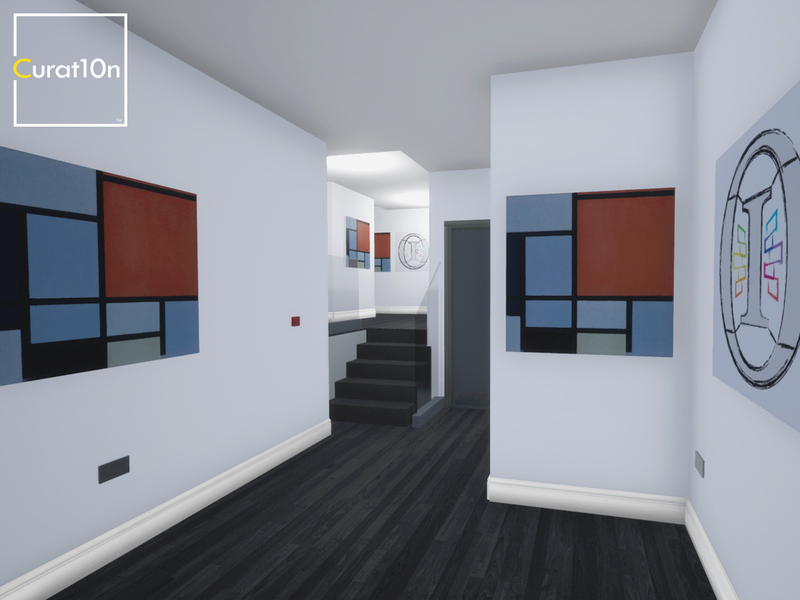 This is an example of one of Curat10n’s gallery visualisation projects. 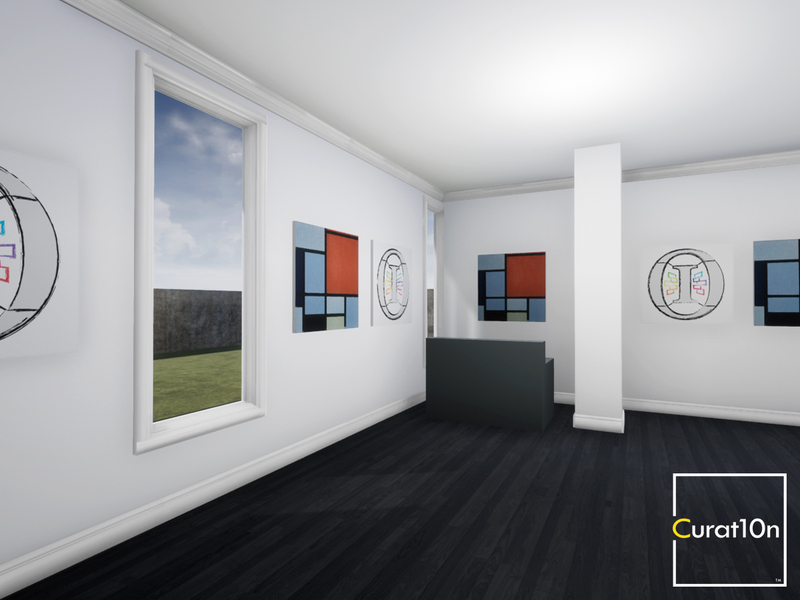 The virtual gallery was created so that the client could curate upcoming exhibitions and experiment with different selections. It is possible to import any image into the gallery and to change it’s location and size easily. Images can be tken and videos acan be recorded, allowing other team members to be involved in decision making and creative control, event if they are spread around the globe. A further benefit is the ability to save considerable time and money, mainly as a result of improved logistics, planning and decision making. There is no need to transport artworks unnecessarily because you already know which pieces you need and where they will fit, which also avoids the risk of damaging artwork. 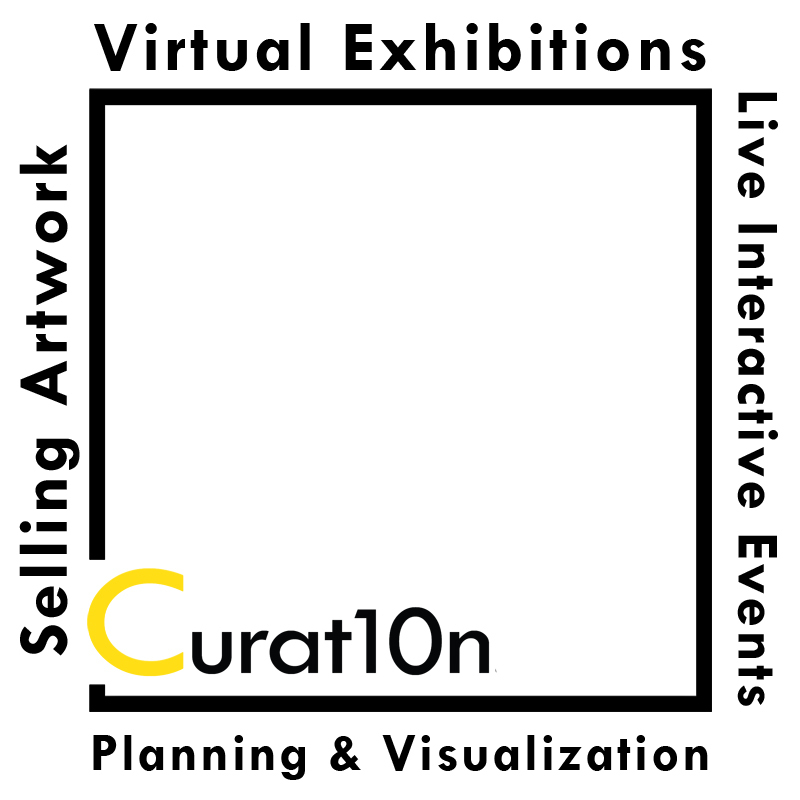 Visualization reassures artists, investors and gallery owners about the quality and appearance of the final exhibition. It can also be used when commissioning work or when planning for art fairs and making the most of a limited space. The first step is to accurately measure the gallery space. Image on this page are from the Maddox Gallery in Notting Hill, London. This particular gallery space has an intricate and complex layout with a lot of architectural details. We used laser measuring devices to measure long distances and avoid causing disruption while visiting the gallery. We also took photogrpahs of the space and of any materials and finishes that need to be recreated, such as wood flooring and fabrics. 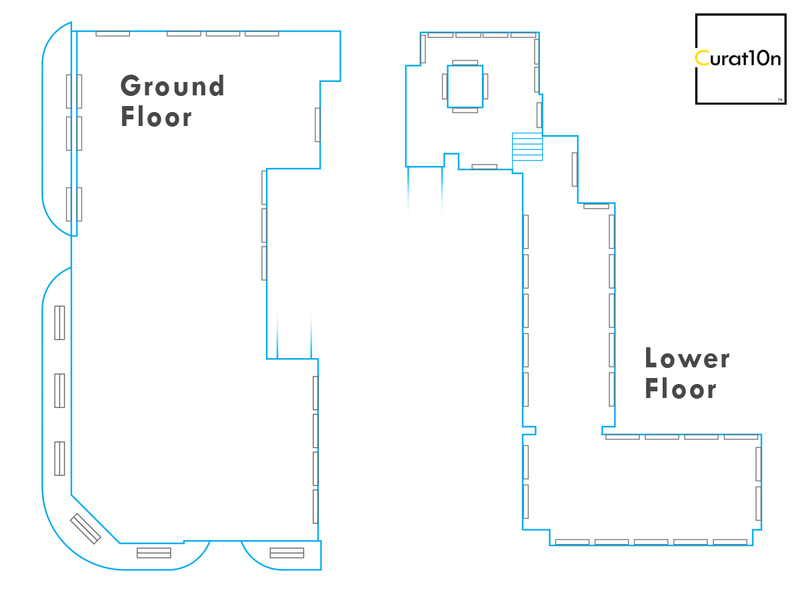 These measurements allow us to produce a plan of the space – including fittings and furniture which might obstruct artwork or influence its placement. It’s important that this is accurate so that you know where artworks will fit and where they will look good. We also recreate lighting, depending on your requirements. 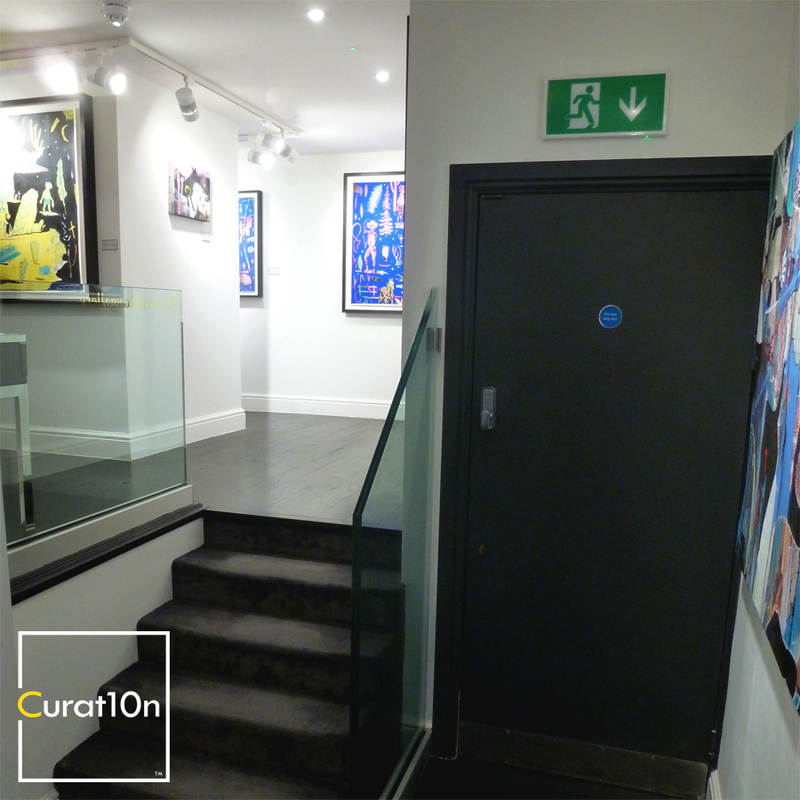 If there are windows in your gallery space then we will use sunlight to illuminate the space. We can also recreate spotlighting and ambient lights of any colour. 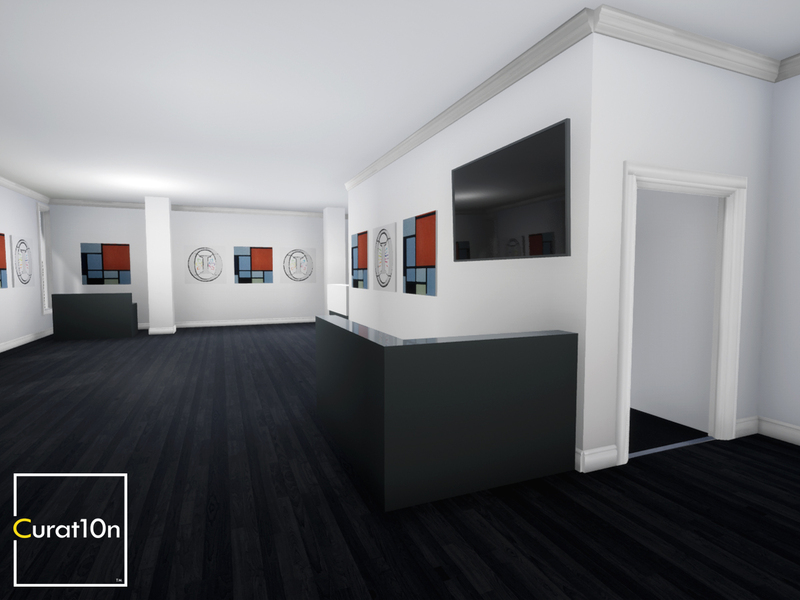 Once the gallery space has been modelled accurately in 3D, we can then start to import artworks. This is a simple process for 2-dimensional paintings and prints. All we need are high-resolution photographs of the work and these can then be applid to a virtual canvas within the space. It is then possible to change the size and position of the artwork. 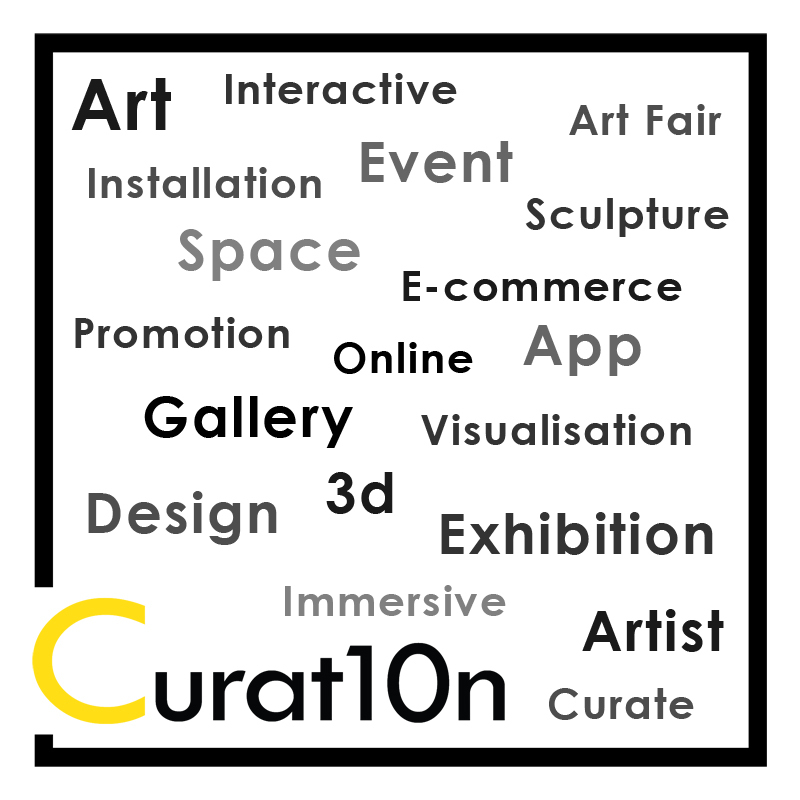 You have the option os curating your exhibition by working in consultation with Curat10n.  Alternatively, we can provide training to curators and gallery staff so that you can experiment with your exhibition designs in-house. 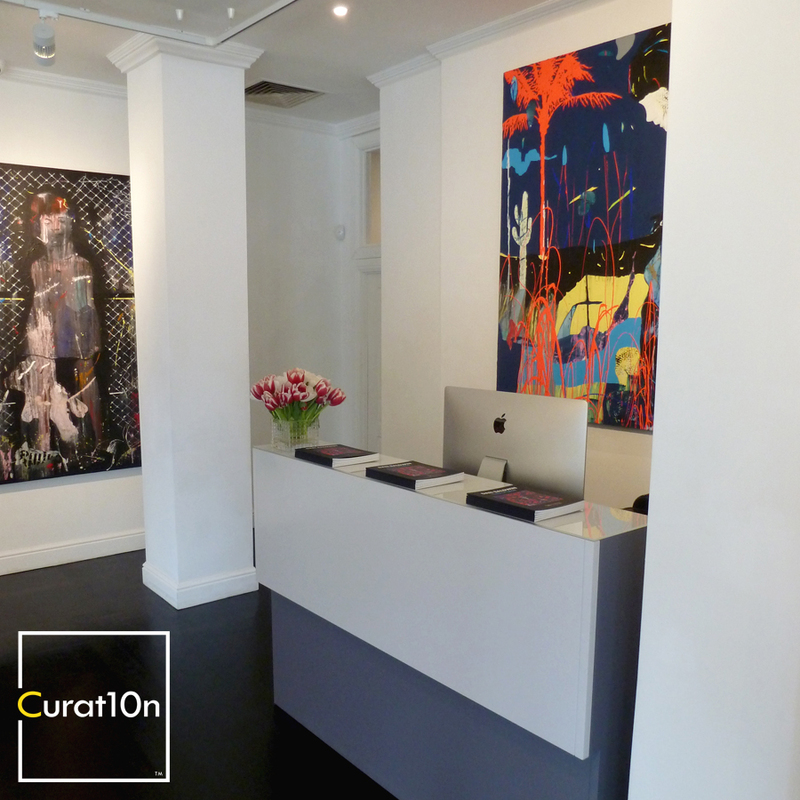 There are many options for diplaying artwork, such a the use of frames, glass, plinths and more elaborate displays. You can include video projections, sound installations and 3-dimensional work in your exhibition. Any 3D modelling of artwork would depend on the complexity of the piece and this should be condsidered on a case-by-case basis. 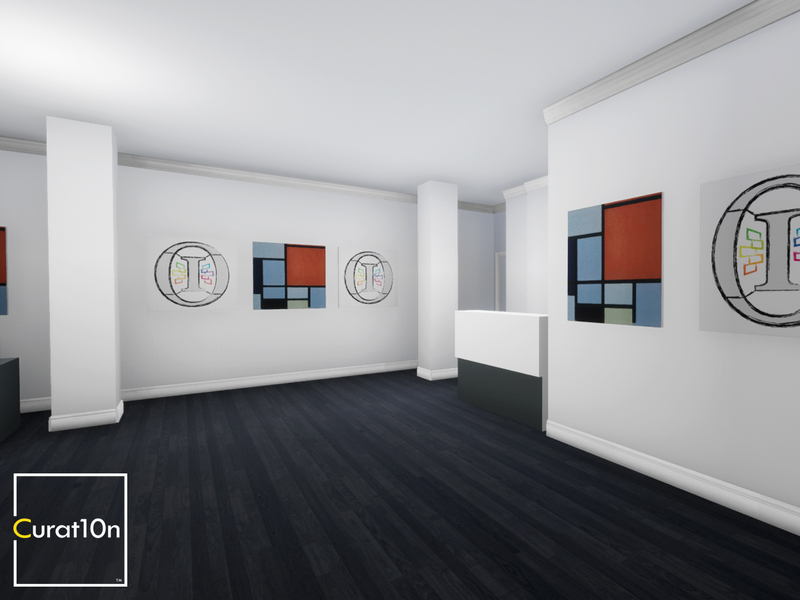 After completing this virtual gallery visualisation for Maddox Gallery, we provided training to a small group of employees. 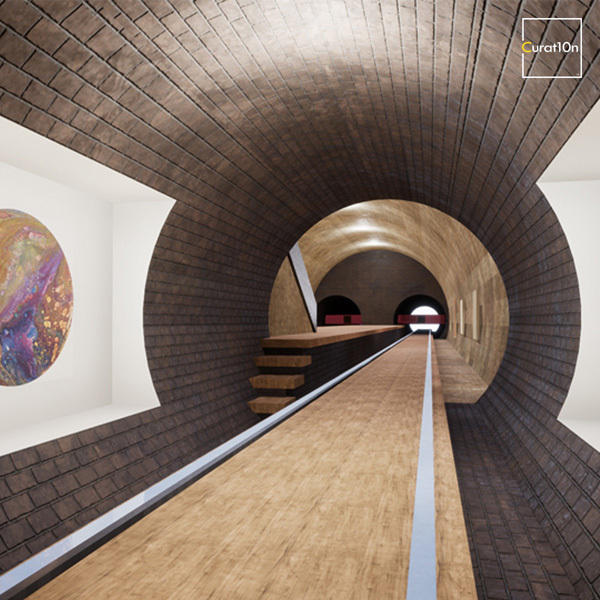 For the first exhibition using this virtual gallery, we worked in consultation and set up most of the exhibition design. We helped ot set up software on their computers, and after training we handed responsibility for exhibition planning to their team. We are also available for ongoing support and consultation whenever this is needed. 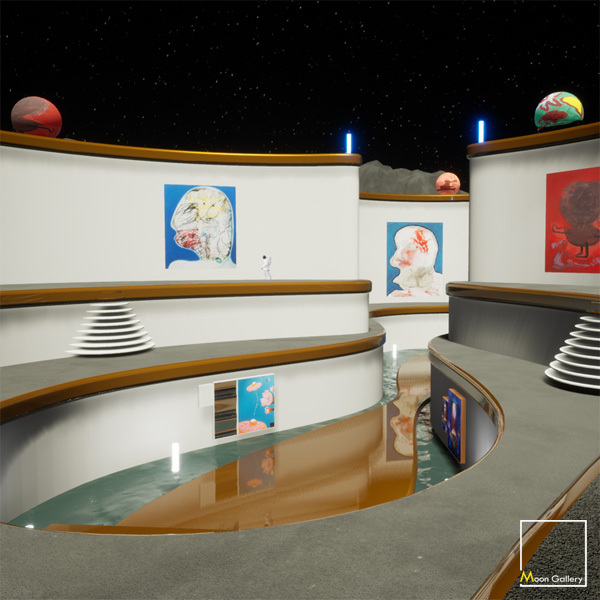 Once you have created a 3D model of your gallery space you have the added bonus of being able to create original content from the virtual gallery itself. This could be used to for making promotional images, or for sharing videos of an upcoming show. 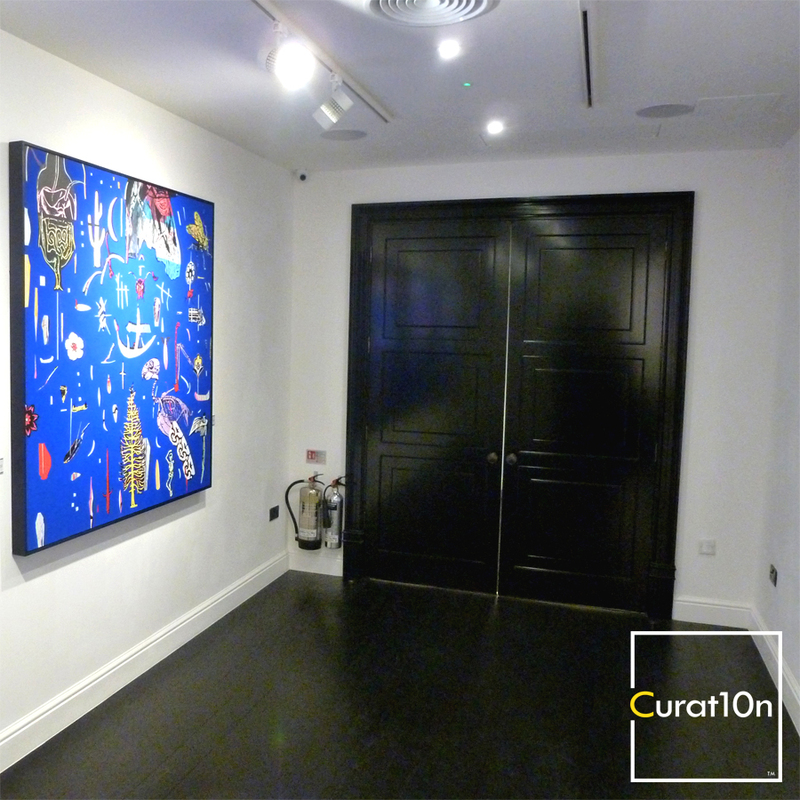 You could also distibute it as an interactive exhibition, increasing awareness of your gallery, shows and artists. After the exhibition, you will also have a permanent archive of the event and will be able to share it worldwide as an interactive application. 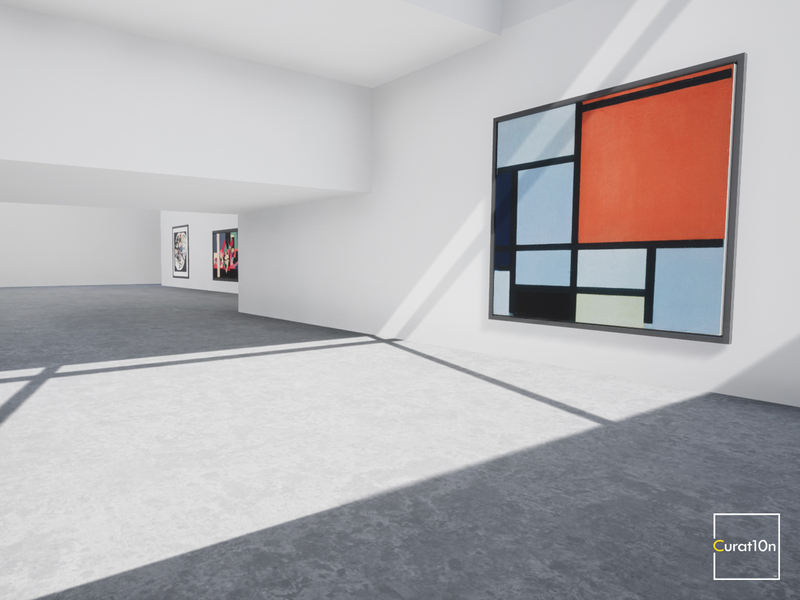 It’s also possible to create a timeline of all your exhibitions, so that people could walk through several versions of your gallery space. 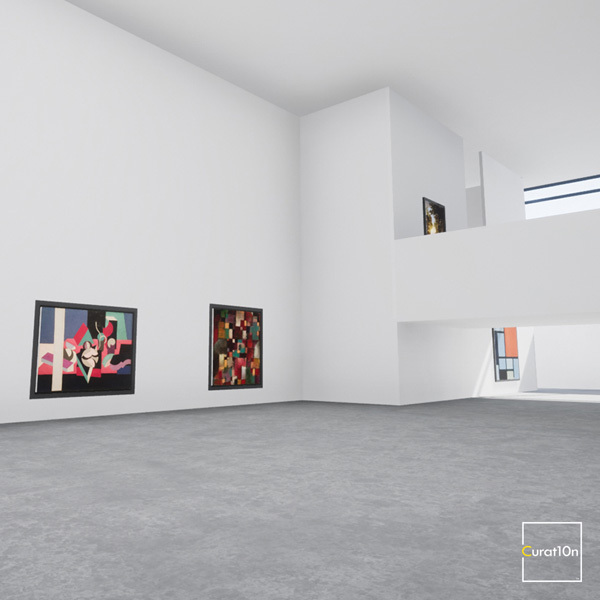 For exemple, it could show all your exhibition selections over a period of time.  The is a lot of potential for creating unique events and immersive installations, perhaps even as part of a real-world exhibition. This could be used to give you extra virtual space, or to do something creative that would be impossible in the real world. Any artwork can also be integrated with an online web page, making it possible to link viewers to further information or an online store. 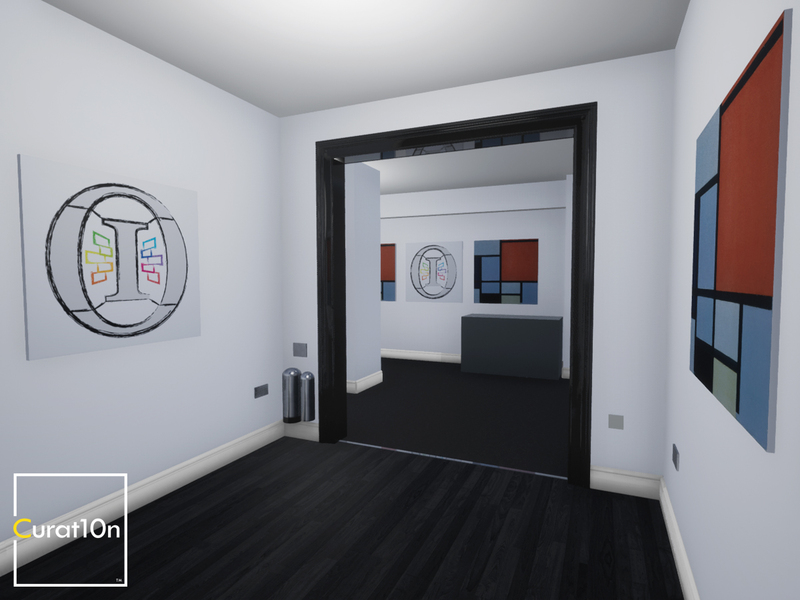 If you decide to re-create your gallery space in 3D, there are many further ways that you can use it and get added value.